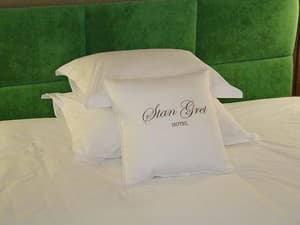 Hotel STAN GRET meets all the classic standards of quality and comfort that distinguish cozy mini-hotels in Kiev. The impeccably decorated façade of the hotel fits into the architecture of the historical part of Kiev, while being perfectly combined with modern design of rooms and a hall. 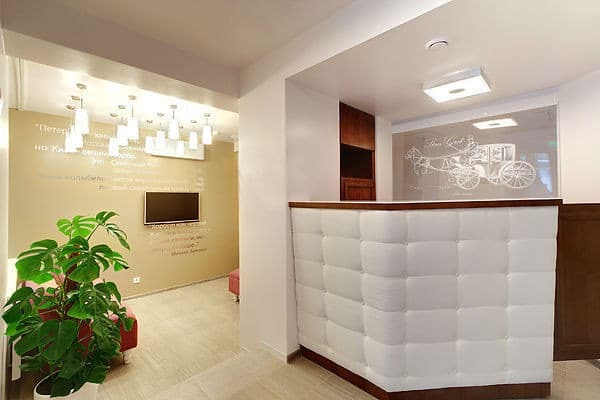 The well-equipped rooms of the two categories "Semi-lux" and "Standard" allow meeting the needs of the most demanding clients, regardless of their needs and financial possibilities. 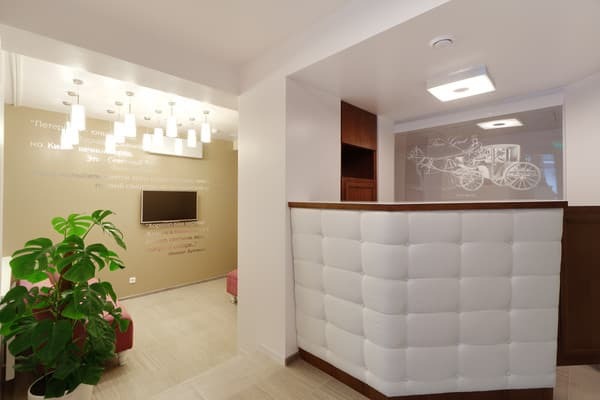 Convenient location in the center of the capital near the stops of transport ensures delivery in the shortest time anywhere in the capital - airport, bus station, railway station, historical center. 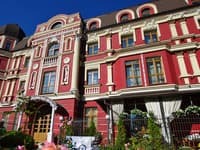 Hotel STAN GRET is the best hotel for business trips to the capital of Ukraine with an affordable price offer and optimal conditions for work and leisure. Before the station. Metro "University" 1.4 km, to the Independence Square 2.5 km. To the central railway station is 1.8 km, to the airport "Borispol" - 35 km. 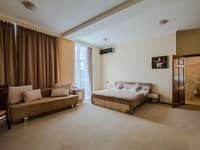 Description of the room: In the Standard room there is a large double bed with quality bed linens, blankets and pillows, plasma TV, coffee maker, air conditioning, slippers. Bathrobes upon request. 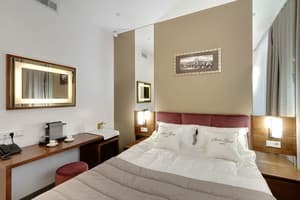 Description of the room: Room Standard - a double room with two twin beds, with quality bed linens, blankets and pillows, as well as a plasma TV, coffee maker, air conditioning, slippers. Bathrobe on request. Description of the room: The Junior Suite consists of a living room with a sofa, a table, a large plasma TV, and in another room there is a large double bed with orthopedic mattress and quality bed linens, bedside tables, lamps, coffee table, large wardrobe. The room has a heating and air conditioning. In the toilet room there is a shower with bath accessories, filtered water flows in the faucet. Для того, чтобы переночевать в деловой поездке, лучше и делать нечего. 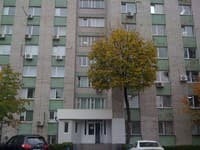 До всего недалеко - метро, магазины, кафе, вокзалы и даже театр и цирк. В моем номере не было холодильника. Не критично. Номер в полуподвальчике . Зато не жарко даже когда жарко за окном. Отличная локация. Сервис на высоком уровне. Культурный вежливый персонал. В номере чисто и убрано. Children under 6 years old stay free of charge without extra beds. Additional places in the rooms are not provided. The ecologically clean and quiet area of ​​the hotel's location ensures that you will not see outside your rooms the factory pipes or building cranes, do not feel the smog and car traffic noise in the morning. 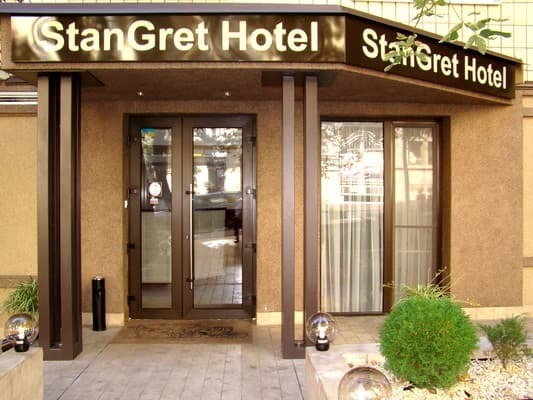 Hotel STAN GRET is located near the center of the capital, 10 minutes walk to the nearest metro station. Vokzalnaya (Railway Station). Near the department store "Ukraine", Circus, Botanical Garden, Vladimir Cathedral and many other sights of the historic city of Kiev. 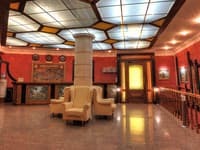 The hotel is very conveniently located in the center of Kiev. From the railway station: walk along the street Starovokzalnaya to Victory Square, go to the passage to O. Gonchar and 2 blocks before the intersection with the street. Gogol. From the airport "Borispol" to the railway station there are shuttle buses Sky Bus. From the metro station "University" go along the boulevard T. Shevchenko to the intersection with the street O. Gonchar and 2 blocks before the intersection with the street. Gogol's. From the metro station "Golden Gate" pass along Vladimirskaya Street to the intersection with the street. B. Khmelnitsky and directly on it to the street. Gogol's. From the metro station "Teatralnaya" go straight on the street. B. Khmelnitsky to the street. Gogol's.